We offer a unique line of home decor items at our Missoula and Ronan locations. Our exclusive Cowboy Living Gallery can outfit not only your kitchen with western glasses and dishes, but your bathroom, as well, with distinctive towel and bath sets. We carry the Steve Miller Bronze sculpture collection from Montana Silversmiths, a variety of cowhides and framed western prints. 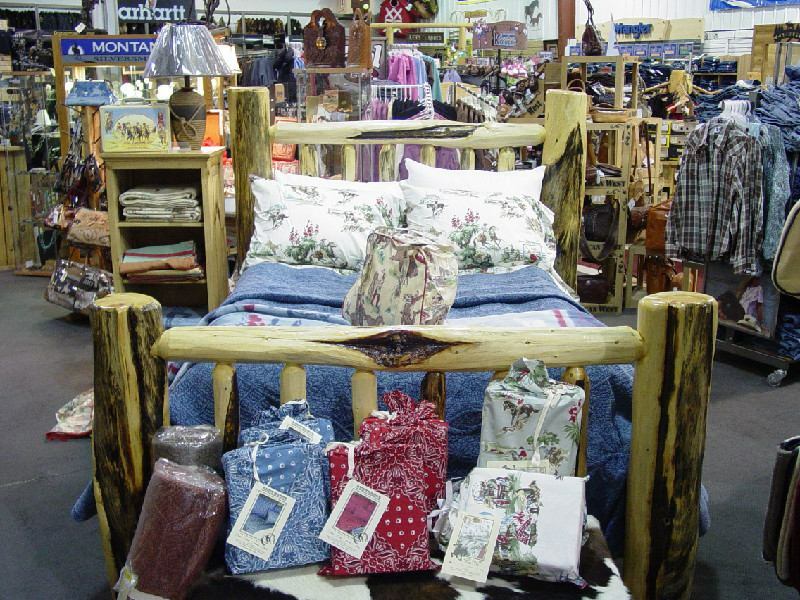 Western bedding and accessories are displayed around our large log furniture bed. We also offer Leah’s original ropes baskers, painted ponies and Triple Creek products home décor candles and pictures. The gift department is growing every day. We are always bringing in new products to make your gift buying experience – whether it’s for you or someone else – enjoyable. Looking for something “made in Montana”, the perfect western gift for your cowboy or cowgirl friend, or maybe some jewelry for your special someone? We can help you with all of that and more!